Margot Robbie is officially one of our biggest beauty inspirations. I mean, she has been for a while (she was the first person to make us want—no, need—to wear yellow eye shadow, which is pretty significant if you ask us), but after this latest makeup look, it's a fact that's been certified, signed, sealed, and delivered. Robbie attended the premiere of her new movie, Mary Queen of Scots, wearing one of the most holiday-appropriate makeup looks we've ever seen. We're talking red glitter eye shadow paired with an equally bold shade of red lipstick. It's proof that, at least in this case, more is more. Keep scrolling to see Robbie's red makeup look in all of its regal glory. Here's the look. Her insanely pretty Grace Kelly–esque Rodarte gown was complemented by a bold red lip. Her eye shadow, which looks smoky and matte from this angle, is actually layered with chunky glitter. It's hard to see from this view since it's concentrated along her upper lashline. Don't worry, though. We have a different, better angle for you. Her makeup artist, Pati Dubroff, posted this photo, which shows the look in all of its regal glory. It's truly fit for a queen. More specifically, it looks like what a queen would wear to her holiday ball. The maximalist red-on-red look is something we wouldn't expect to love (since we lean toward more minimalist makeup looks), but we do. A lot. If you're like us and planning on wearing this exact look to all of the holiday parties you have coming up, keep scrolling for the best products to use. 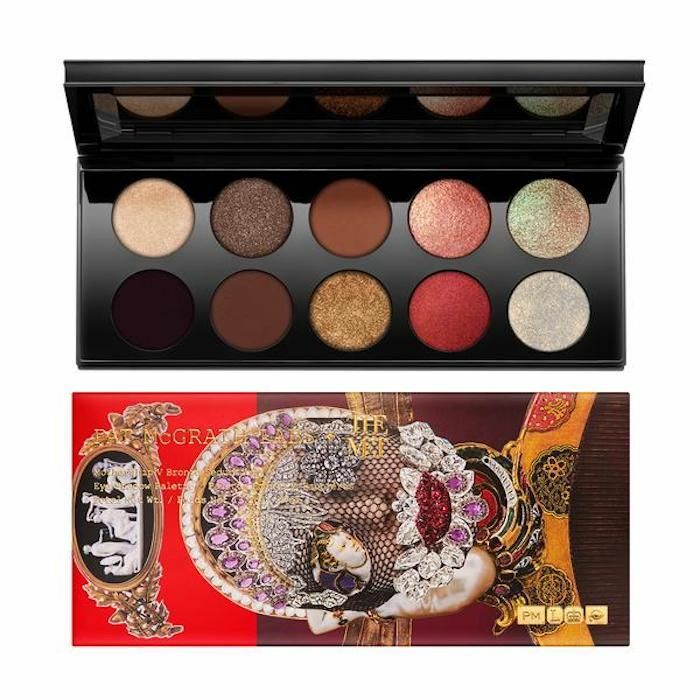 Pat McGrath's Bronze Seduction Palette has all of the holiday makeup colors you could possibly need—everything from deep brown to sheer holographic lilac and, yes, shimmery red. If you want to do something really unique, reverse Robbie's glitter look by putting the shimmer on your lips instead of your eyes. 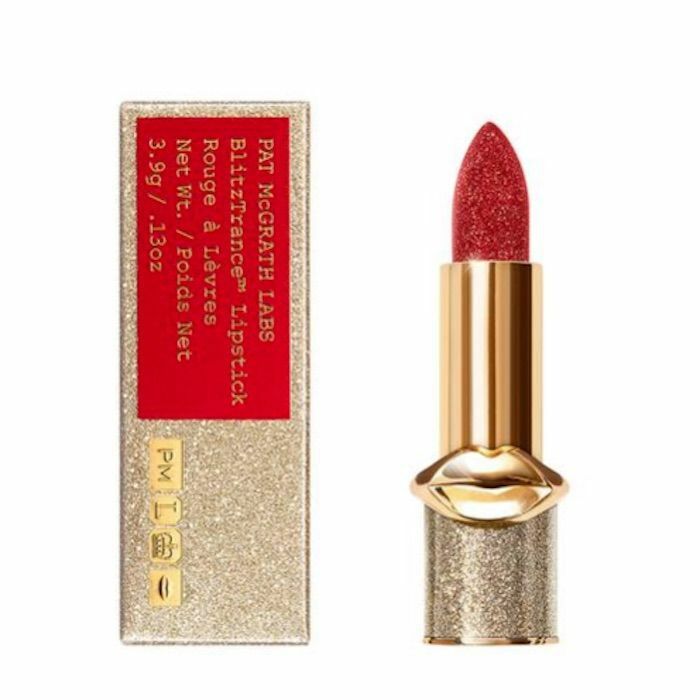 This Pat McGrath lipstick, called Stargaze, is the boldest, most eye-catching holiday makeup product you could possibly purchase. 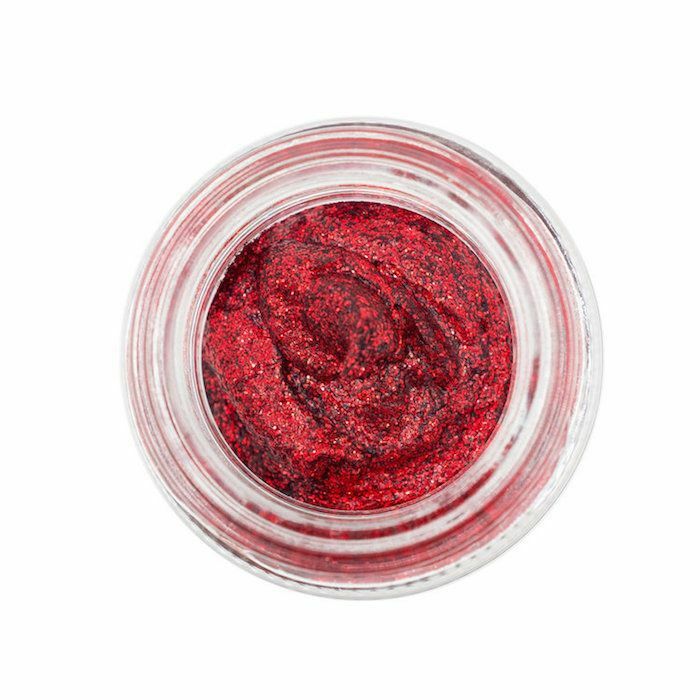 This multipurpose glitter can be used on the lips, eyes, and anywhere else on the face. It can also be used on the body and in the hair. This shade, called Roosevelt, looks super similar to the shade of red that adorns Robbie's eyelids. 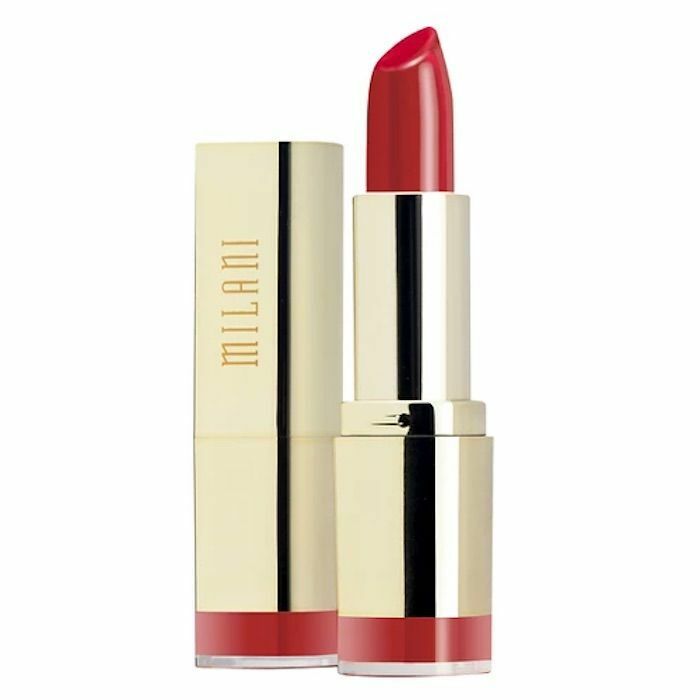 In my opinion, Milani is an extremely underrated drugstore brand. Almost every single product I've tried I have subsequently added to my beauty arsenal as a permanent fixture. The creamy bullet lipsticks are no exception. They're bold, long-lasting, and comfortable to wear for long periods of time. 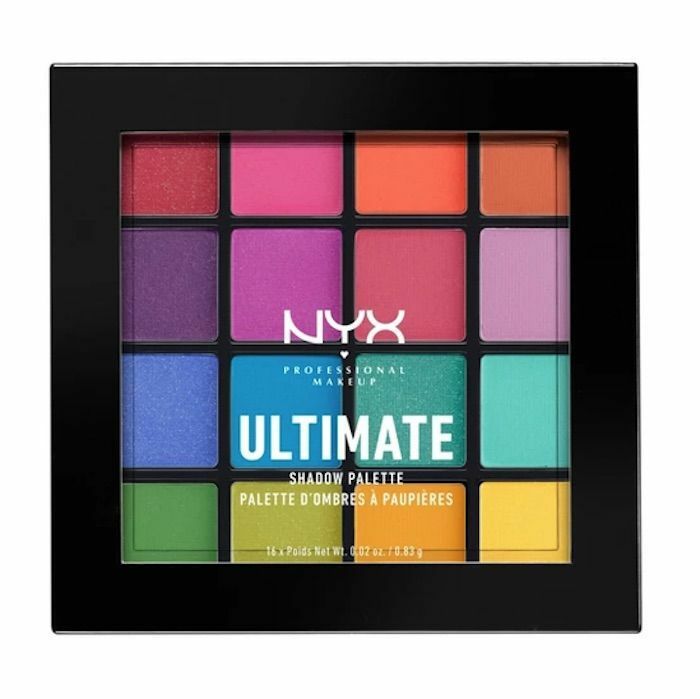 If wearing bold colors is your forte, this affordable Nyx palette might be worth your money. It includes all the bright primary colors you need to create myriad looks. Notice the shimmery red shade in the upper left corner.